Our exquisite teeth-whitening near Minneapolis is a fantastic way to rejuvenate your smile. To ensure you achieve the healthy, fresh look you’re targeting, will you purchase a corner store do-it-yourself kit or consult dental professionals? Consider 4 factors to achieve a dazzling white smile without compromising the health of your teeth. 1. Structurally sound — The great news is science has demonstrated that whitening agents will not alter the structural integrity of a tooth…provided that the pH value of the product is high enough. Our professional whitening products have all been thoroughly tested and approved for their safety and effectiveness, so you don’t have to worry. Over-the-counter whitening agents purchased elsewhere cannot make the same guarantee however. 2. Color Clarity — How white do you want to go? To achieve your goal, how much time do you need to leave your teeth exposed to the whitening product? Our dental professionals are trained to help you determine the level of whitening that’s best for your teeth, and then make it a reality. It should be noted that each person’s teeth genetically contain a different underlying hue, some yellow, grey, or brown and each respond differently to whitening. Only a professional has the experience to recognize and compensate for these inherited traits. 3. Check-up — Imagine a tooth with an untreated cavity or fracture suddenly being exposed to the most active ingredient in whitening agents: peroxide. Unwittingly you can aggravate pre-existing conditions and find yourself in great discomfort. A proactive dental check-up is always the recommended way to precede whitening treatments. 4. 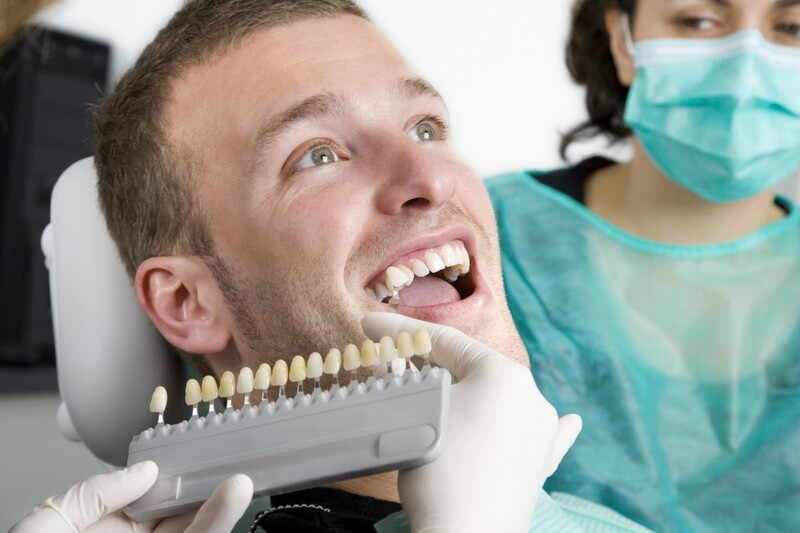 Getting it right the first time — Oxygen radicals within the peroxide work to connect with stains located throughout the tooth’s enamel layer. This opens the pores within the enamel, which can stimulate the nerves beneath. Particularly if individuals have exceeded stipulated exposure times or have bleached too frequently, “zingers” or sharp pain can result. It can take days for the re-mineralization of teeth to soothe the affronted dental nerves by means of your saliva. Dramatically reduce the odds of an uncomfortable encounter by having our experts oversee your whitening experience! Pro-tip: Limit sensitive reactions by using fluoride toothpaste containing potassium before and after bleaching, as well as mouthwash that has calcium as the active ingredient. Professionally whitened teeth will allow an increased amount of light to reflect within them, lending your smile the brilliance worthy of an A+. Contact our dental professionals today and accelerate your smile! What famous Hollywood smile would you like for yourself and why?